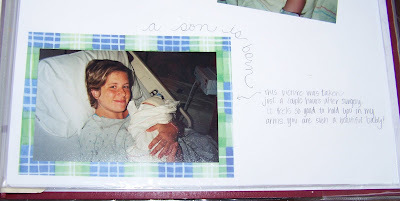 I had never had an ultrasound when pregnant with Isabella. So you can imagine the thrill when I had my first one a little over 7 years ago. And after the awe of seeing a healthy little baby I cried. I remember being with Donovan that day and after the Dr. appointment we went to lunch to celebrate. But I had lots of tears. Tears of disappointment. In my mind I was growing a little sister for Isabella inside my womb. 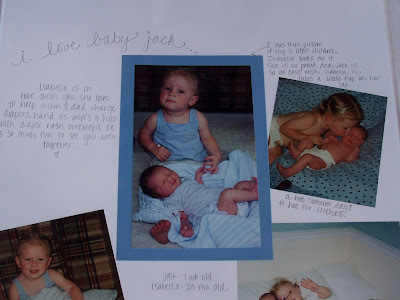 I felt so guilty for being disappointed, after all I had a healthy baby. But it still loomed. It took me several days to get over what I had wanted, or thought I wanted. After I changed my thinking to a boy...and all of what extra parts he would come with...I was getting used to the idea. Then we picked a name for our son. I grew to get excited. Then we went to pick out his very first outfit to bring him home from the hospital in. I was very happy and thrilled with meeting this new little boy. I was so glad God gave me time to adjust. Because God really does know the very best for us. I love his plans. Sometimes I just need some time to adjust to His way of thinking. It was so cool to add our 2nd to our family...I loved watching Isabella mother this little baby. I loved having blue all around us. I was in for a huge adjustment as far as the work load! I could not believe how much time and energy 2 required. Isabella and Jack are 23 months apart. 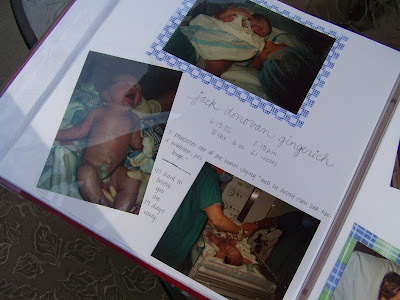 I was so sleepless and thinking back to that time I may have had some postpartum depression going on in the mix. It seemed Donovan and I were both busy with a baby in each set of arms...and when he went to work....well it was me in a balancing act. We made it through and somehow when I think back to those days of just 2 kids at home....I sit in awe of how did I think that was so hard???? Celebrating Jack turning 3 at the park. 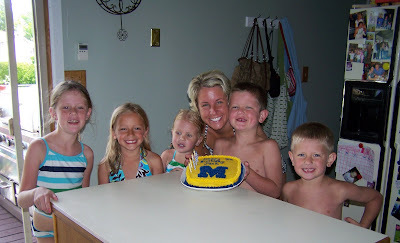 And a fast forward to last Monday...June 15th when we celebrated turning 7 at my sister Holly's house. She invited us to go swimming for the day. 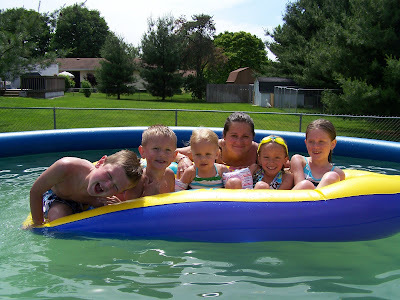 What a blast our first time in the pool this summer! Aunt Holly has a special gift for making birthday's special. This greeted us on the front porch that day. She also ordered pizza that day and had it delivered! What a treat!!!! What a guy! This boy Jack is one of a kind. He has such a strong will, I'm learning how to relate to him- I hope better in the last couple of years. He has a hilarious sense of humor! I love it. He has humbled me on more than one occasion. I love that for the most part he is outgoing! He makes our family so much fun. I can't imagine our family without him. Last week was so so so full! 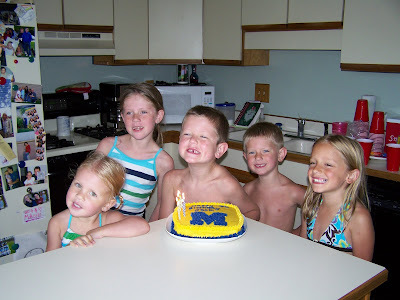 We had Bible school, swimming lessons, plus it was the first full week off of school. Over the weekend we had our small group here for dinner, and celebrated Father's day with 3 different groups of family. AND...we had to showings on the house last night. Are you starting to see why I didn't have time to blog???? Jack: "Where do people go to the bathroom in outer space?" Me: " I have no idea, Jack." Jack: "Probably just where ever they want to, and then rockets would smash into it." Jack: "Wouldn't that be cool if we could go to the bathroom where ever we wanted? Isabella: "No, that would get smelly." Jack: "Can Isabella, Dad, and me go to outer space sometime? I really want to see what it is like. For real." I hope you're relaxing by the pool this week Heather! We've been extremely busy also and don't hardly have time to sleep! I'm so tired! I had to chuckle at your comment about thinking you were so busy with 2 children and then you went and had 2 more....what were you thinking? I often think about how busy we were also with 4 children, and now looking back that time was extremely short and worth every second we had together! 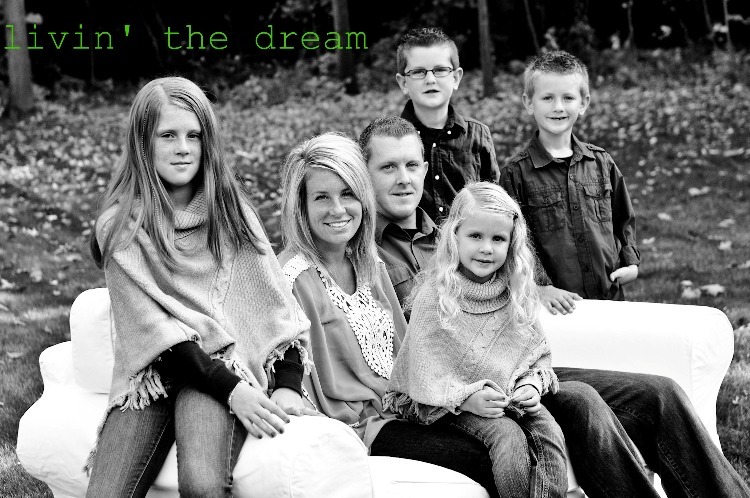 Family dynamics change so much when the dating starts and the kids move on to college and beyond! Love it while you have it! Great pictures! Your blog is really sweet. Let's just not wait 10 days before you blog again! I was starting to go through withdraws. Hey Heather! 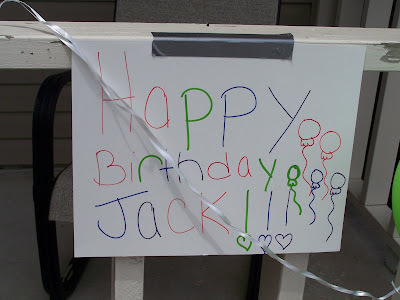 Tell Jack we all say Happy Birthday! Jack looks like he had a fabulous day! 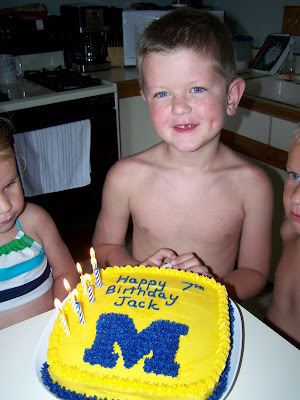 Can't believe he's SEVEN!